Jeanne Schwalbach, MA, LMFT, LMHC is an individual and family therapist with over 25 years of clinical experience at Solutions for Living. Her relationship based therapeutic approach includes expertise in solution focused therapy and psycho-dynamic insight-oriented therapy. 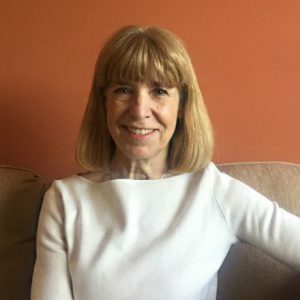 She specializes in mother/daughter relationships, young adult concerns, self care practices and caregiver issues, trauma informed clinical interventions, trauma recovery, parenting and co-parenting skill development and life transitions issues. Jeanne welcomes the opportunity to work with individuals who want to enhance their personal strengths, improve their self care practices and more effectively meet life’s challenges.